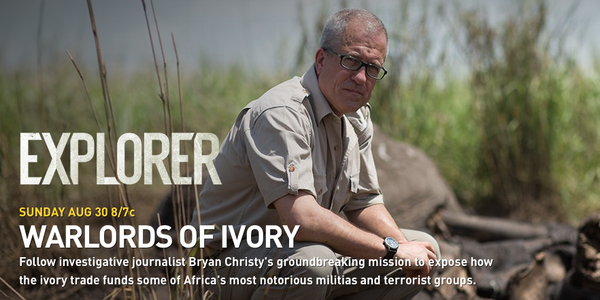 Here’s a quick guide to some of National Geographic’s coverage of Blood Ivory: Ivory Worship introduced by Editor in Chief, Chris Johns. Here are Brent Stirton’s extraordinary photographs for this story. 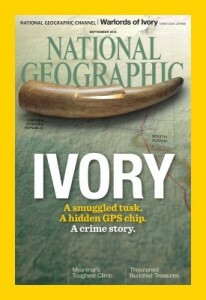 Here’s a Q&A about the Behind the Scenes of the investigation with my editor at National Geographic, Oliver Payne. The graphics for Blood Ivory result from weeks of work by an NG graphics team presented in a way you can understand in a blink. One of the great things about this project has been the complete support of every aspect of the National Geographic Society. If you would like to give your support to issues raised in the story, NG offers these suggestions, which list some of the very best in the world in the effort to stop wildlife crime in ways that are sensitive to the human condition. Categories: Blog Post | Tags: Brent Stirton, Chris Johns, elephants, how to help, ivory, National Geographic, Oliver Payne, religion | Bookmark the permalink.